The drills were reported by the Hong Kong-based South China Morning Post (SCMP), which cited an article in the People’s Liberation Army Daily, the Chinese military’s official newspaper. The drills simulated defeating an aerial attack, the SCMP said, and including “three target drones making flyovers of a ship formation at varying heights and directions.” The PLA Daily report said that the drones were used to “precisely verify the feasibility and effectiveness to ensure a close stimulation of an aerial attack target.” The Chinese military’s paper added that drones had been used during exercises at least thirty times before. 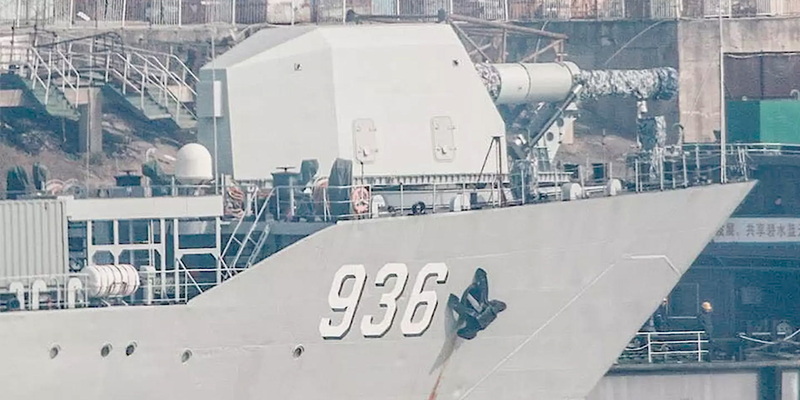 As the SCMP pointed out, the Chinese military didn’t release many details about the drills, including the precise timing, location or what Chinese Navy ships participated. As others have noted, these anti-air drills come on the heels of two U.S. B-52 bombers challenging China’s claims of sovereignty over artificial islands it built in the South China Sea. On June 5, two B-52 bombers—which, unlike the B-1, are nuclear capable—flew within twenty miles of the Spratly Islands, according to CNN. The exact parts of the Spratly Islands weren’t mentioned in the report. The United States has repeatedly sent warships to sail in the vicinity of China’s artificial islands as a way to challenge Beijing’s excessive sovereignty claims. The Spratly Islands are also claimed in part or in whole by Malaysia, Vietnam, the Philippines and Taiwan. In 2013, Washington also used B-52s to challenge China’s claim of an air-defense identification zone around the East China Sea. The decision to use bombers to challenge China’s maritime claims in the South China Sea is unusual but may have been a response to reports that Beijing had landed its own bombers on the artificial islands in recent weeks. 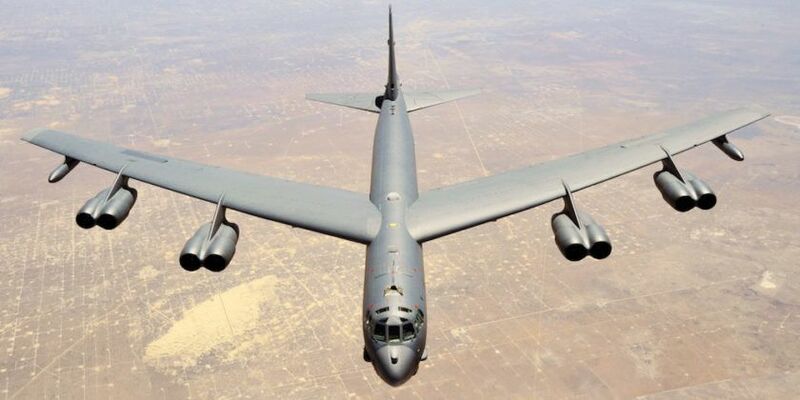 It is unclear if the anti-air drills were related to the B-52 overflights given that China has been ramping up the number and intensity of its military exercises. On the same day that China’s media reported the exercise in the South China Sea, President Xi Jinping visited a naval base where he once again emphasized the need for more, realistic combat training. “How is simulation-based training going? Can the facilities meet the demands? Are there any challenges?" Xi said to submarine units during the visit. Chinese media reports added that “Xi said the intensity of training needs to be enhanced, its modules to be innovated, and its supervision to be strengthened. He stressed the need for targeted training, training for commanders, and training under combat conditions.” To that end, Chinese military commentators have been claiming recently that one-third of Beijing’s defense budget goes to training. The increased training tempo has been seen repeatedly. Just this week the People's Liberation Army Navy (PLAN) conducted its first competitive live-munition underwater anti-mine warfare exercise. “Bombers, minesweepers and mine-hunting ships of multiple PLA theater commands participated in ‘back-to-back’ tests in the East China Sea, which included covert installation of underwater mines by air units, navigational path clearance by surface ships, and mine detection and sweeping,” news reports said. Meanwhile, in April of this year President Xi oversaw what was described as the “largest naval parade” in Chinese history. The two days of drills in the South China Sea included forty-eight naval vessels, seventy-six fighter jets and at least 10,000 personnel. One drill that China will not be taking part of is the U.S.-led Rim of the Pacific Exercise (RIMPAC). The biannual exercise—held around Hawaii and California—is the world’s largest international maritime exercise. The exercise will begin this year on June 27 and end in early August. Around 25 nations are scheduled to participate including Brazil, Israel, Sri Lanka and Vietnam for the first time. China participated in the noncombat parts of the drills in 2014 and 2016. It was scheduled to join them again this year but the United States withdrew the invitation, citing China’s militarization of the South China Sea. “China’s continued militarization of disputed features in the South China Sea only serve to raise tensions and destabilize the region. As an initial response to China’s continued militarization of the South China Sea we have disinvited the PLA Navy from the 2018 Rim of the Pacific (RIMPAC) Exercise,” a spokesperson for the Department of Defense said last month. “We have strong evidence that China has deployed anti-ship missiles, surface-to-air missile (SAM) systems, and electronic jammers to contested features in the Spratly Islands region of the South China Sea. China’s landing of bomber aircraft at Woody Island has also raised tensions.” The spokesperson added that these moves have violated President Xi’s pledge not to militarization the artificial islands Beijing built in the South China Sea.